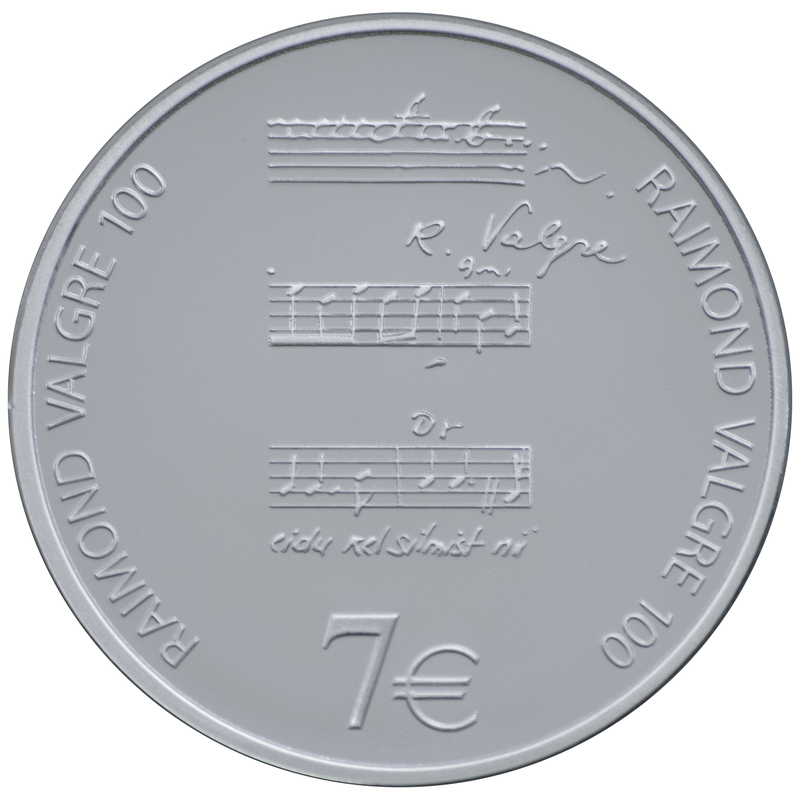 Eesti Pank will issue the silver seven-euro collector coin dedicated to the music of Raimond Valgre on 7 October. The coins will go on sale in the Eesti Pank museum and in SEB offices across Estonia from 1.00pm on 7 October at a price of 35 euros. The date 7 October 2013 marks the 100th anniversary of the birth of Raimond Valgre, the Estonian composer and musician. 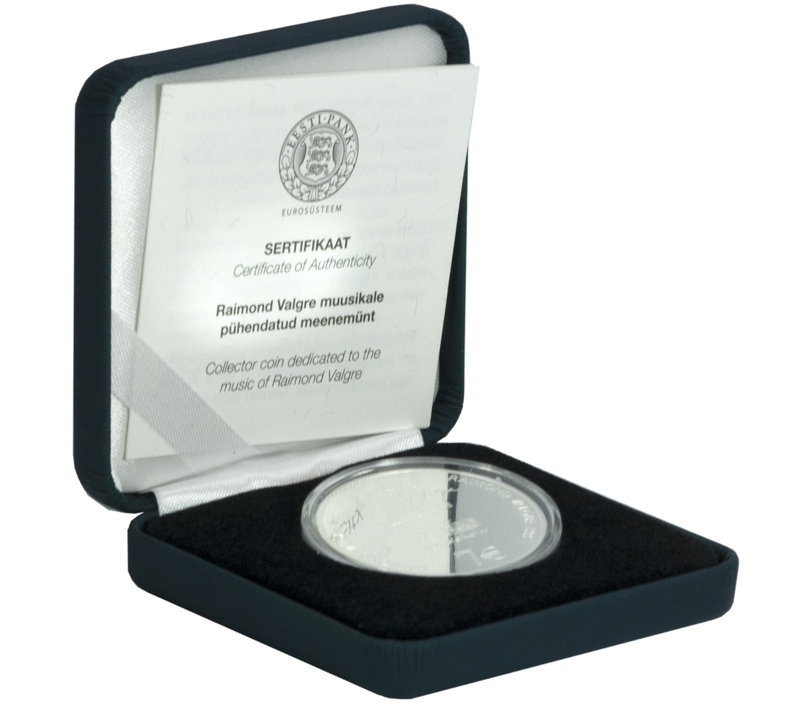 The design of the coin features a fragment of the handwritten score for Saaremaa Waltz, the signature of the composer and the nominal value of the coin of seven euros. The front bears the coat of arms of the Republic of Estonia and the year 2013. The proof-quality silver (Ag 925) collector coin weighs 28.28 grammes and is 38.61 mm in diameter. The total mintage is 7,500 coins. . The coin was designed by the artist Berbel Lätt. The coins are being minted in the Royal Dutch Mint, the Koninklijke Nederlandse Munt. 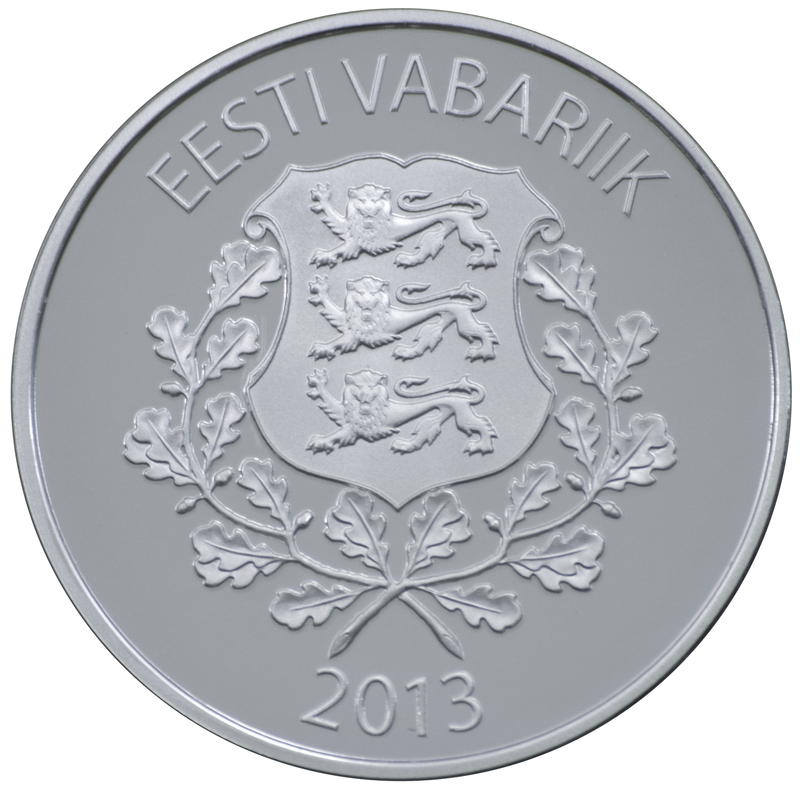 The coin commemorating Valgre's music can be bought from the Eesti Pank museum, from the e-shop http://www.post.ee/9516  or from SEB offices across Estonia, more information on which can be obtained from the SEB customer support line 665 5100. The coins cannot be ordered in advance and each purchaser is limited to twenty coins. The Eesti Pank Museum at Estonia pst 11, Tallinn, is open from Tuesdays to Fridays 12.00-17.00 and on Saturdays 11.00-16.00. On 7 October the museum will open from 13.00-17.00.